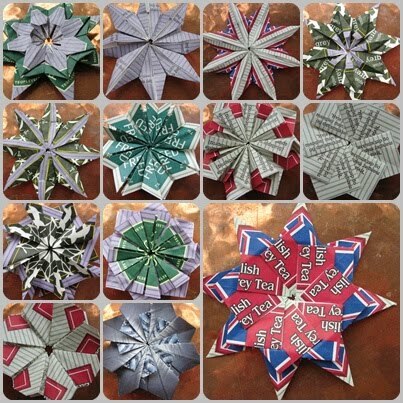 Examples of some of the stars one can make when folding tea bags.. Some of the pictures are the back and front of the same stars. I really quite like them. I had many plans for today - non of which actually happened - but so it is once in a while.. The important thing is not to hit oneself on the head about it.